This black vegan leather diaper bag is designed for the fashionista who wants the benefits of an organized bag without compromising their sassy style. Customize your fashionable diaper bag purse with diaper bag inserts, changing pad or stroller straps. 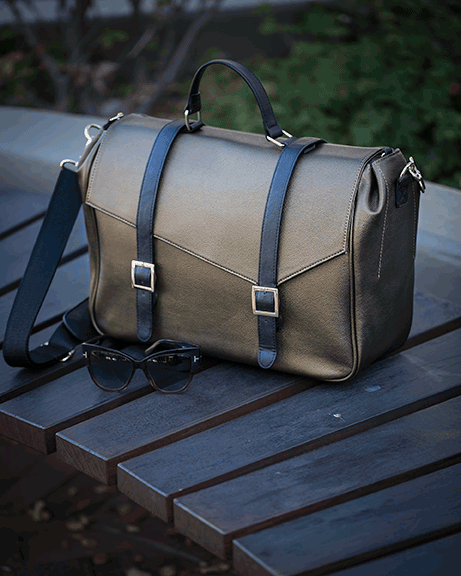 To fit your lifestyle, this posh carbon black vegan leather bag comes in two options. The Eden Fully Equipped: Includes Eden bag, (2) LENA by Cassandra inserts, (1) changing pad, (2) stroller straps. The Eden: Includes Eden bag only. Customize below by adding LENA by Cassandra accessories to make the perfect bag.